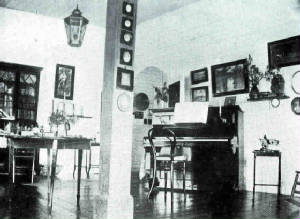 a room in Kingston, 1907. I was seated at a little table, every window and door of the room was wide open, the heat was oppressive. 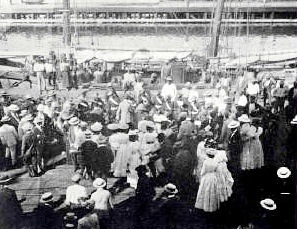 Picture a cloudless sky, a temperature of 92 or 95 degrees Fahrenheit in the shade, relieved about mid-day by a cooling breeze that increased in power until about three o'clock, when it had attained the violence almost of a gale. Doors were repeatedly banging, blinds on every window were for ever waving in the wind; at each violent gust they would snap like the crack of a whip. Lace curtains breaking loose from their lower fastenings were streaming continuously on the breeze; on the windward side they were often level with the ceiling itself. The strong breeze began to lose force until, at about 3.30, it had faded into nothingness. For two minutes there was not a breath of wind, no doors banged, no blinds moved, curtains fell back to their places, not a sigh lifted a leaf on any bough. Nature had seemingly withdrawn for her afternoon siesta. And then without murmur or warning, from the Blue Mountains beyond, or the still bluer heavens above, or the ground beneath our feet, there steals down upon us some intangible, impalpable monster, before whom the very earth reels and groans in violent agony and despair. The heightening roar is of eternal memory - it was as though some vast herd of tigers, with warm blood already on their tongues, had been robbed of their prey. A giant had seemingly seized upon the foundation of the structure in which I sat, and was shaking it with brutal pertinacity. At the first movement of the earth the ceiling began to fall about my ears, covering me with small particles of mortar and dust - though not until long afterwards did I notice either. Circular movement was there under my feet, but the upward movement was not less marked. We seemed to rise and fall as though embarked on the surging sea. Heavy walls swayed like an insecure stage setting, and at the same moment the earth rose and fell, bringing down masses of debris at every plunge and breaking floors like so much match-boarding. Writers, even when eye-witnesses, seem to disagree as to the exact minute when the earthquake occurred. The event took place between 3.29 p.m. and 3.32 p.m.; perhaps the variation is merely an indication that, then as now, watches and clocks are not always set to the correct time. 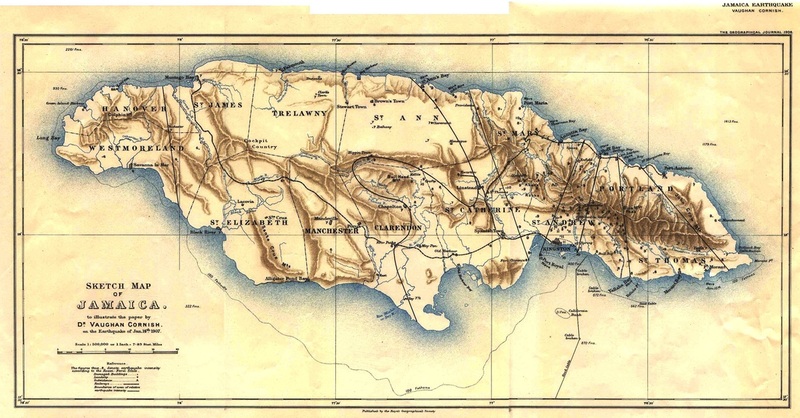 In its first return to print in a small sheet on January 18th the Gleaner gave the first reports on the earthquake's impact on the rest of the island. Telegrams to the GLEANER from all parts of the island show that the severe shock was general. 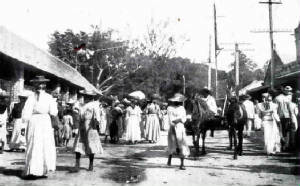 At Black River, the Parish Church was damaged. At Sav-la-mar everybody rushed to the streets - no damage reported. Church bell at Hector's River pealed of its own accord. People of Santa Cruz fled in consternation. Court House wall cracked. Montego Bay - considerable excitement; no damage. Morant Bay - Court House and Episcopalian Church damaged. Three shocks felt. At Spanish Town there was some minor damage in commercial centre. No damage at Manchioneal or Bath. From Alley it is reported that Moneymusk chimney is damaged. 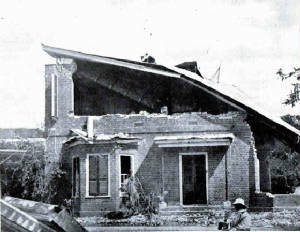 Buildings are also damaged. Chimneys and buildings at Bog Estate also damaged. At Port Antonio the shock was slight. Town Hall wall damaged. 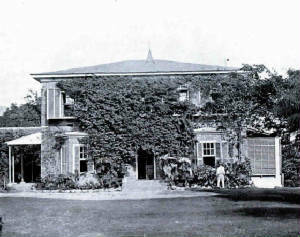 Titchfield Hotel undamaged. Much damage in stores of Port Maria. Suspension bridge over Ontram River twisted and approaches damaged. Business had to be suspended. Cedar Valley Presbyterian Church destroyed. No deaths. Richmond district has been severely damaged. 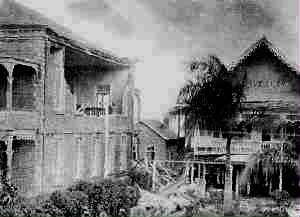 The earthquake threw down most of the buildings and, as in Kingston, fire completed the ruins. Troja is reported to be uninjured and no damage is reported from Albany. Between Annotto Bay and Bog Walk the tidal wave was very large, going in about 10 chains and receding far from the shore. Pringle's pier at Annotto Bay is down and Buff Bay suffered considerably from a tidal wave. The Episcopal Church and all the buildings on the Kildare estate also the Market is down. 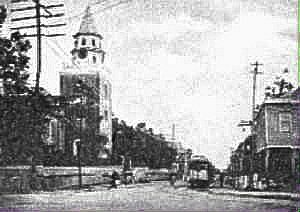 The Constabulary Station at Annotto Bay was shaken down and all the houses on the Leyton estate destroyed. The shock on Wednesday morning finished many of the tottering buildings and started many fresh fires, but by one o'clock the fires seemed to be under control.